Back in 2011, Sally Rice’s life was much different from today. Then, she was 55 years old, single, and living a chaotic lifestyle in Los Angeles. She’d spent 23 years as a costume designer in the movie industry, which sounds glamorous, but as she says, “Working 17 to 20 hours is stressful, and leaves little time for anything else”. 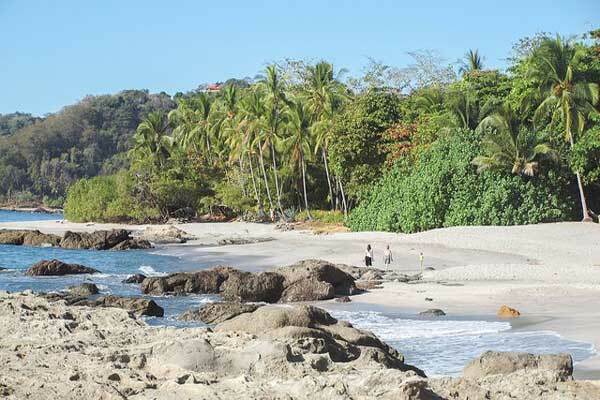 Now, she’s in Costa Rica, working as a psychic medium and Reiki practitioner in the beach town of Tamarindo. It’s a result of a spiritual awakening she had while living for six years in the smaller town of Montezuma—a magical and remote artists’ community three hours further south along the Nicoya peninsula. Sally first traveled to Montezuma after being invited by her daughter, who was filming an MTV show there. She took a two-week exploratory trip…but ended up staying those six years, after embracing it immediately and tapping into the energy of the area. She never looked back. Nature makes its way right to the water’s edge in Montezuma. She found an amazing place to live for only $400 a month—a two-bedroom, two-bathroom home with a separate all-glass studio in the jungle, overlooking the ocean. There she recharged her life with a menagerie of animals. She also spent some time running a rock climbing tour business with her son, who moved to Costa Rica for a couple of years. Montezuma’s cost of living remains cheap. You can still rent a home like Sally’s overlooking the ocean for between $500 and $1,000 a month. 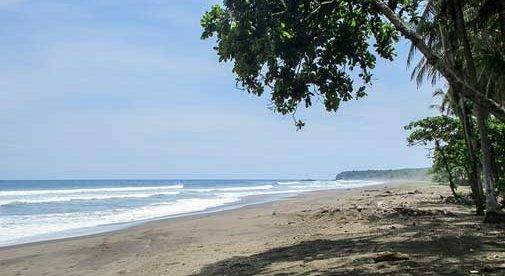 If you prefer to buy, they’re in the $100,000 to $200,000 range—keeping Montezuma an affordable coastal gem. Sally started a professional psychic practice in 2009, prior to her move to Costa Rica. She has since studied mediumship at the Arthur Findlay College in the U.K., further incorporating her training into her spiritual practice. She’s now a certified Reiki practitioner as well as a psychic medium, and has moved her work to Tamarindo, which she says still has all the magic of the Nicoya peninsula. “I believe dreams come true and prayers are answered. Just know who you are and what your soul needs before you move,” she says. She also tells how she has never felt unsafe being a single woman in Costa Rica.